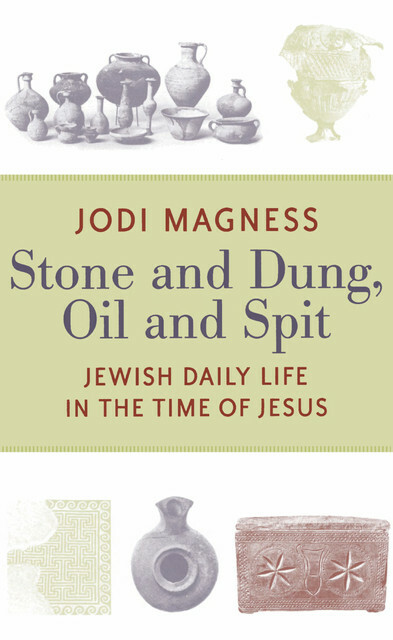 Jodi Magness (www.JodiMagness.org) holds a senior endowed chair in the Department of Religious Studies at the University of North Carolina at Chapel Hill: the Kenan Distinguished Professor for Teaching Excellence in Early Judaism. From 1992-2002, she was Associate/Assistant Professor of Classical and Near Eastern Archaeology in the Departments of Classics and Art History at Tufts University, Medford, MA. She received her B.A. in Archaeology and History from the Hebrew University of Jerusalem (1977), and her Ph.D. in Classical Archaeology from the University of Pennsylvania (1989). From 1990-1992, Magness was Mellon Post-Doctoral Fellow in Syro-Palestinian Archaeology at the Center for Old World Archaeology and Art at Brown University. Magness’ book, The Archaeology of Qumran and the Dead Sea Scrolls (Grand Rapids, MI: Eerdmans, 2002), won the 2003 Biblical Archaeology Society’s Award for Best Popular Book in Archaeology in 2001-2002 and was selected as an “Outstanding Academic Book for 2003” by Choice Magazine. 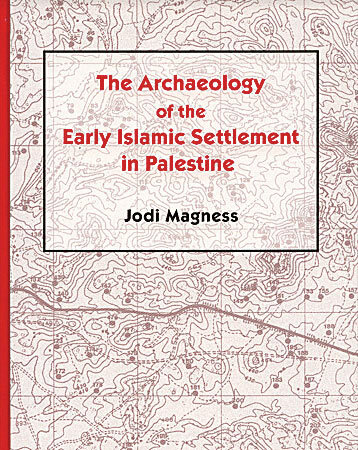 Her book, The Archaeology of the Early Islamic Settlement in Palestine (Winona Lake, IN: Eisenbrauns, 2003), was awarded the 2006 Irene Levi-Sala Book Prize in the category of non-fiction on the archaeology of Israel. Magness’ most recent books are The 2003-2007 Excavations in the Late Roman Fort at Yotvata (co-authored with G. Davies) (Winona Lake, IN: Eisenbrauns, 2015); The Archaeology of the Holy Land from the Destruction of Solomon’s Temple to the Muslim Conquest (New York: Cambridge University, 2012), and Stone and Dung, Oil and Spit: Jewish Daily Life in the Time of Jesus (Grand Rapids, MI: Eerdmans, 2011). Her other books include “Go Out and Study the Land” (Judges 18:2): Archaeological, Historical, and Textual Studies in Honor of Hanan Eshel (co-edited with A. Maeir and L. H. Schiffman; Leiden: Brill, 2011); “Follow the Wise”: Studies in Jewish History and Culture in Honor of Lee I. Levine (co-edited with Z. Weiss, O. Irshai, and S. Schwartz; Winona Lake, IN: Eisenbrauns, 2010); Debating Qumran: Collected Essays on Its Archaeology (Leuven: Peeters, 2004); Hesed ve-Emet, Studies in Honor of Ernest S. Frerichs (co-edited with S. Gitin; Atlanta: Scholars Press, 1998); and Jerusalem Ceramic Chronology circa 200-800 C.E. (Sheffield: Sheffield Academic, 1993). In addition, Magness has published dozens of articles in journals and edited volumes. Her research interests, which focus on Palestine in the Roman, Byzantine, and early Islamic periods, and Diaspora Judaism in the Roman world, include ancient pottery, ancient synagogues, Qumran and the Dead Sea Scrolls, and the Roman army in the East. Magness is currently writing a trade book provisionally titled Masada: A New History (under contract with Princeton University Press). Magness has participated on 20 different excavations in Israel and Greece, including co-directing the 1995 excavations in the Roman siege works at Masada. From 2003-2007 she co-directed excavations in the late Roman fort at Yotvata, Israel. Since 2011, Magness has directed excavations at Huqoq in Galilee (www.huqoq.org). Magness received a 2016-2017 National Endowment for the Humanities (NEH) Public Scholar Award for work on Masada: A New History. Her other awards include a fellowship from the American Council of Learned Societies and a fellowship in Byzantine Studies at Dumbarton Oaks in Washington, D.C. (1997-98); a National Endowment for the Humanities (NEH) Fellowship for College Teachers and a Skirball Visiting Fellowship at the Oxford Centre for Hebrew and Jewish Studies (2000-2001); a Fulbright Lecturing Award through the United States-Israel Educational Foundation at the Institute of Archaeology at the Hebrew University of Jerusalem (spring 2005); a fellowship at the School for Historical Studies at the Institute for Advanced Study in Princeton, NJ (2007-2008); and a Chapman Family Faculty Fellowship at the Institute for the Arts and Humanities at the University of North Carolina at Chapel Hill (2010-2011). In 2008 Magness received a national teaching honor: the Archaeological Institute of America’s Award for Excellence in Undergraduate Teaching. She produced a 36-lecture course on “The Holy Land Revealed” (released December 2010), and a 24-lecture course on “Jesus and His Jewish Influences (released December 2015) with The Teaching Company’s Great Courses. Magness consulted for and is featured in a National Geographic giant screen film on Jerusalem, which premiered in September 2013 and is showing around the world and is available on DVD (http://www.jerusalemthemovie.com/). Magness also consulted for and appeared in the National Geographic series, The Story of God with Morgan Freeman, which aired in spring 2016. Magness is now President of the Archaeological Institute of America (AIA) (2017-2019). She is also a member of the Managing Committee of the American School of Classical Studies at Athens, and has been a member of the Board of Trustees of the W.F. Albright Institute of Archaeological Research in Jerusalem (and past Vice-President), the Governing Board of the AIA, and the Board of Trustees of the American Schools of Oriental Research. Magness has served as President of the North Carolina Society of the AIA and the Boston Society of the AIA. The Archaeology of the Early Islamic Settlement in Palestine, Winona Lake, IN: Eisenbrauns, 2003. Winner of the 2006 Irene Levi-Sala Book Prize in the category of Popular Non-Fiction on the Archaeology of Israel. 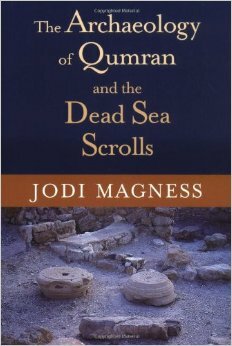 The Archaeology of Qumran and the Dead Sea Scrolls, Grand Rapids, MI: Eerdmans, 2002. Selected as an “Outstanding Academic Book for 2003” by Choice Magazine. 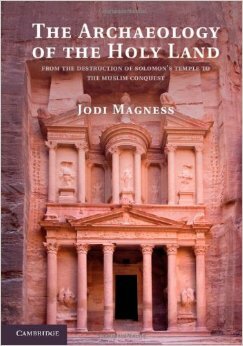 Winner of the 2003 Biblical Archaeology Society (BAS) Award for Best Popular Book on Archaeology of 2001-2002. Translated into French by P. Ghirardi: Que sait-on de Qumrân? Les nouvelles interprétations, L’histoire des manuscripts de la mer Morte, La découverte du site et la vie quotidienne (Paris: Bayard, 2003). Translated into Arabic by Ikhlas Khaled al-Qananuwwa (Yarmouk University: Jordanian Authority for the Dead Sea Scrolls, 2012).